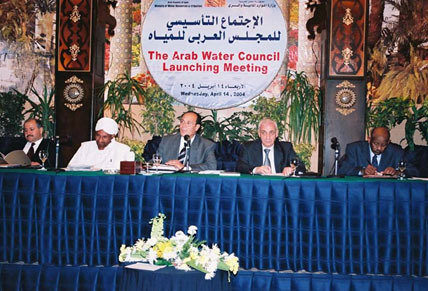 The Arab Water Council (AWC) was launched on 14 April 2004, as a regional non-profit organization with activities extended on both regional and international scales. The Headquarters of the Arab Water Council is the Arab Republic of Egypt according to the Host Agreement signed between the Government of Egypt and the Council in February 2009. The General Assembly meeting endorsed AWC Constitution and By-Laws in December 2009, as legal official documents that draw the provisions & regulations of the Council.